At Walton Telken, we will put you and your family’s needs first. Fast resolution of your claim is our goal, but we will not rush your claim through the system just to get a quick but inadequate settlement. The truth is, many injury victims can get a fast, low settlement offer even without hiring a lawyer. CLICK HERE to Learn About Our Most Recent $31 Million Verdict! WE GET RESULTS FOR OUR CLIENTS! Click Here to See More of Our Results! We’re here to help recover maximum monetary damages to compensate you for your physical, financial and emotional losses. The personal injury lawyers at our firm understand your concerns and are committed to responding to your needs with strong advocacy and legal counsel. Contact our law firm today to schedule a free initial consultation to discuss your personal injury or work-related injury claim at one of our office locations in Illinois or Missouri. Contact us today to schedule a free initial consultation and discover the difference a Walton Telken attorney can make in the final outcome of your case. Our firm’s personal injury lawyers in Madison County and St. Clair County, Illinois, are committed to helping you obtain a full financial recovery so you can focus on your family and your recovery efforts. At Walton Telken, when handling your personal injury or wrongful death claim, we keep our attention focused where it belongs — on you and your family’s needs. Our law firm won’t rush you into a quick, yet inadequate settlement for a personal injury claim. At the law firm of Walton Telken, we prepare every workplace injury claim with a focus on maximizing results. We apply our years of experience, skills and legal resources in pursuit of helping you and your family obtain benefits for your physical, financial and emotional losses. 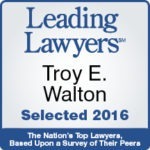 Walton Telken is a trial law firm with the skills and tenacity to pursue damages against the largest corporations in the United States. We are committed to advocating for individuals and groups of clients in class action lawsuits to try and seize a corporation’s illegal practices. If you or a loved one was harmed by a pharmaceutical drug or medical device claim. you may be entitled to compensation. Please contact the lawyers at Walton Telken today for a free consultation and evaluation of your potential drug or medical device claim.